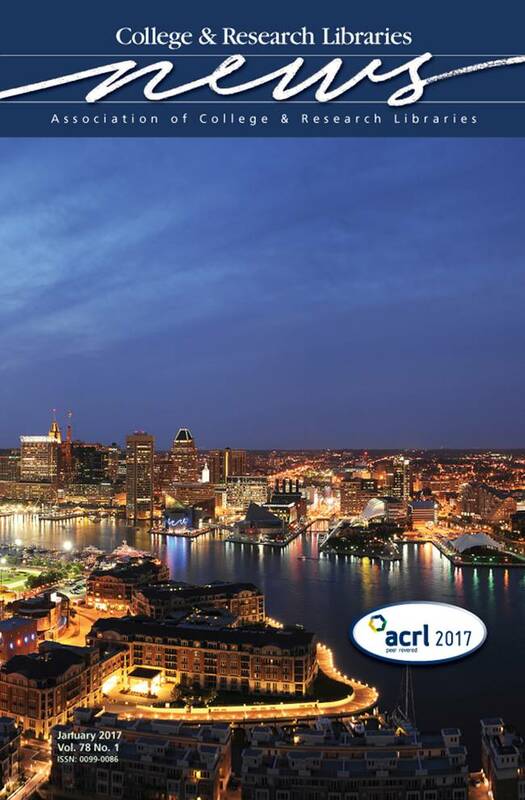 ACRL invites you to join us March 22–25, 2017, in Baltimore, Maryland, for ACRL 2017. The ACRL conference is your once-every-two-years opportunity to access the best information, discover new ideas, and stay at the forefront of the profession. You’ll get irreplaceable opportunities to connect with your peers from all over the country and all over the globe, along with access to content all year long. See the ACRL 2017 insert in this issue for information on the upcoming conference, including keynote speakers, preconferences, invited papers, and more. Make sure to visit the conference website at conference.acrl.org for the full preliminary program and complete conference details, including registration and housing information. Early-bird registration closes January 27, 2017.